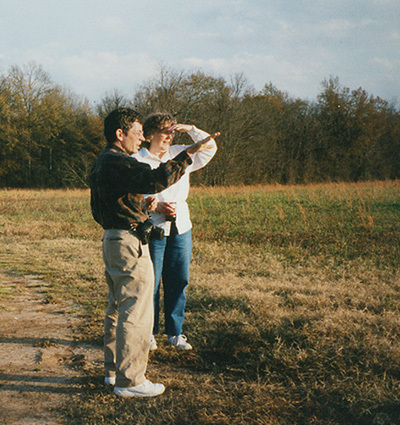 UAPB station archeologist John House with Hester Davis in 2005. John retired in December 2018. John Hansard House retired on December 31, 2018 from his position as Research Station Archeologist at the University of Arkansas-Pine Bluff, where he has served since 1988. Prior to that, Dr. House worked as a Survey Research Assistant, served as station assistant (with Dr. Skip Stewart-Abernathy) at UAPB, and as the station archeologist at UAM. Long considered a leading expert in the archeology and Native American history of the Central Mississippi Valley region of eastern Arkansas, Dr. House has written or edited six books and monographs, published over 30 articles and book chapters, and made dozens of presentations at professional conferences. He received the Clarence B. Moore Award for Excellence in Archaeology by a Young Scholar in Southeastern Studies (Southeastern Archaeological Conference, 1994); the Charles R. McGimsey Preservation Award (Arkansas Archeological Society, 2018); and an honorary blanket presentation by the Quapaw Tribe of Oklahoma in recognition of contributions to Quapaw history (2018). Dr. House also fondly remembers participating in the first Arkansas Archeological Society training program, held at the Shipps Ferry site in 1964, when he was a student at Mountain Home High School. Watch this 2018 interview with Dr. House. Lela Donat also retired in December, 2018. Hired as Assistant Registrar in 1992 after completion of her MA degree from the University of Arkansas, Lela was promoted to Registrar in 1994 and has held the position since that time. 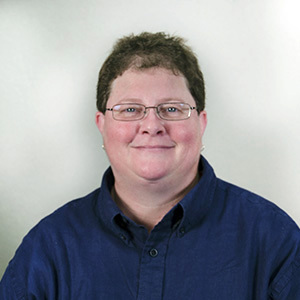 She played a lead role in the development of the AMASDA database system for managing statewide information on archeological sites, projects, reports, and associated information. Throughout her career she provided invaluable assistance to students, scholars, federal and state agency officials, Native American officials, and Survey staff members requiring access to database information. Lela supervised a carefully trained staff, who ably cared for the Survey’s extensive records and collections, and provided valuable oversight for collection curation activities at the Survey’s Coordinating Office and at our statewide network of research stations. 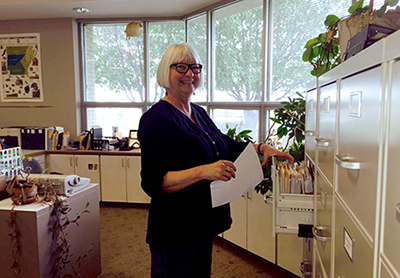 In the final years of her career, Lela oversaw the development of a major initiative to digitize records and maps accumulated during the past half-century of all the Survey’s facilities. Lela will be missed not only for her professional skills, but for the kindness and empathy she brings to her interactions with everyone, and for her role as the keeper of knowledge about anything and everything happening in the Coordinating Office. Marilyn Whitlow (bottom) with Martha Rolingson. 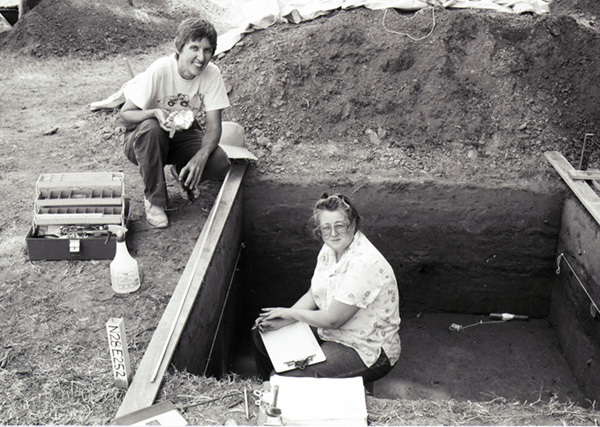 Marilyn Whitlow retired on December 31, 2018 from her position as Research Station Assistant at Toltec Mounds Archeological State Park, where she began working as a secretary on October 1, 1985. During her long tenure at the station, she provided valuable assistance to all four Station Archeologists: Drs. Martha Rolingson, Julie Markin, Jane Anne Blakney-Bailey, and Elizabeth T. Horton. Beyond basic office management, Marilyn regularly helped with field activities and supervising Arkansas Archeological Society volunteers, assisted with special events and programs at the State Park, and contributed extensive effort to inventorying, cataloging, and curating the station’s artifact, photo, and record collections. She also completed the first digital inventory of the Toltec artifact collections using the DELOS nomenclature, developed during the 1980s by the Survey’s Computer Services Program, and then used the resulting database to create analysis tables appearing in Dr. Rolingson’s monographs. We’ll all miss Marilyn’s dedicated service and good cheer. 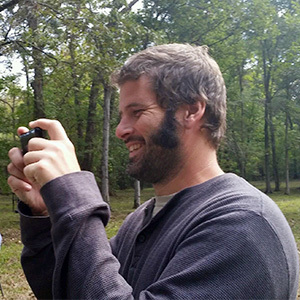 Bob Scott, Research Station Assistant at the University of Arkansas-Pine Bluff, recently earned his PhD in Anthropology from the Southern Illinois University-Carbondale (December, 2018). His dissertation, Investigating the Causes and Consequences of Depopulation in Southeast Arkansas, A.D. 1500–1700, focused on a series of Tiller Complex sites along Bayou Bartholomew. Dr. Scott will serve as Interim Research Station Archeologist at UAPB while the Survey reviews applications for Dr. House’s successor. In January, 2019, Teka McGlothlin succeeded Lela Donat as Survey Registrar. Teka worked in the Registrar’s Office as a Research Assistant from 2008–2014, while completing a MA in Anthropology at the University of Arkansas. Promoted to Assistant Registrar in 2014, Teka assumed primary responsibility for managing the Geographical Information System elements of AMASDA and, later, helped develop the Survey’s 3D scanning and printing lab. Teka brings extensive archeological field and lab experience to her new position, with a special focus on the study of historic sites in northwest Arkansas. 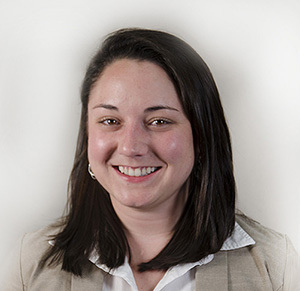 Sarah Shepard was also promoted to Assistant Registrar at the beginning of 2019. Following receipt of her BA in History from the University of Central Arkansas in 2010 and another BA in Archeology at the University of Oklahoma in 2011, Sarah entered the graduate program at the University of Arkansas, earning a MA degree in 2016. She has worked as Research Assistant at the Survey since 2014, assisting the Registrar’s Office with maintenance of AMASDA databases and inventorying and cataloging artifact and record collections. Sarah is also managing the Survey’s recent NPS-funded effort to update our Native American Graves Protection and Repatriation compliance.